Glinda Pet Costume By: Rubies Costume Co. Inc for the 2015 Costume season. Is your dog a good pooch or a bad pooch? You better decide because you don't want a house to be dropped on him! 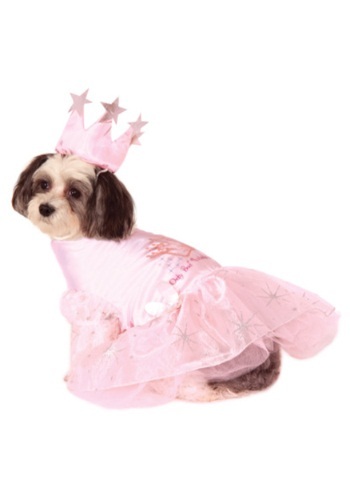 Turn your pup into the whimsical 'good witch' from The Wizard of Oz with this Glinda Pet Costume. Who knows, your dog just may have magical powers all of a sudden!